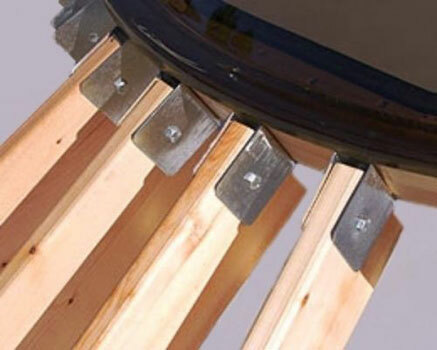 The center ring is probably the most consistent feature throughout all yurt designs. It is the critical element in the architecture that keeps the entire structure erect. Some designs, especially in areas with high snow load, will brace the center ring with posts or even a center pole. DIY yurt center ring any ideas...?